Back in 2003, the original Pirates of the Caribbean movie was released, leaving both audiences and critics surprised. This is because the movie was not only a box office hit but also a pretty good flick overall, with its joyful pirate story and great performances from the likes of Johnny Depp, Keira Knightley and Orlando Bloom. Pirates of the Caribbean was followed by several sequels which were box office hits too, in particular 2006’s Pirates of the Caribbean: Dead Man’s Chest, which is one of the top-grossing movies of all time, although clearly none of the sequels managed to capture the magic of the original, while the last Pirates movie (Pirates of the Caribbean: On Stranger Tides, which came out in 2011) obviously wasn’t a great film at all. But perhaps the upcoming Pirates of the Caribbean: Dead Men Tell No Tales, which is the fifth entry in the series, will manage to be both a hit and bring back the magic that made the first film so special, and judging by the latest trailer this new Pirates movie looks set to offer another goofy and entertaining pirate story when it hits theatres in May next year. This is clearly a glaring omission from this preview, as Depp’s character has no doubt been the central figure of the Pirates movies so far. 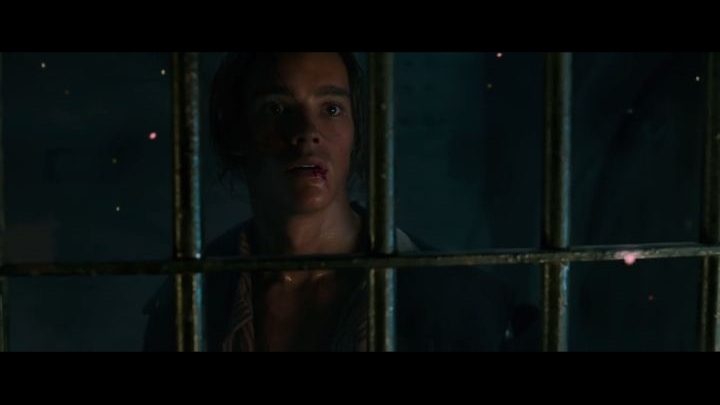 But perhaps his absence is deliberate, and this might make his appearance in a later trailer even more impactful… For the time being, though, this teaser for the new Pirates movie should be enough to whet moviegoers’ appetites for the film, which is slated for release on May 26 next year.